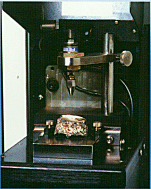 Design Mold Processing Mold Pre-heat Optical Spectro-meter Q.C. Heat treatment. Machining. Surface treatment. Investment casting also can be called "precise casting" or " lost wax casting" or "dewaxing casting". the casting materials can widely used, and no limitation for product shape as well as complex structure. The most important characteristic is the close tolerances control, reduced machining allowances, and fine surface finish. 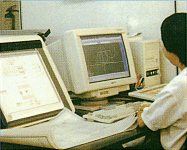 Its application scope can be wider after using the new equipment and advanced technology. 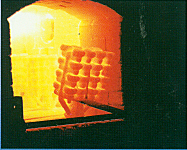 In heat processing industry, investment casting can be used for those products which difficult to choice the materials, or materials not easy to form a shape, as well as some forging pieces with higher cost; while in the casting industry, the investment casting can be used instead of other casting methods, so as to reduce machining allowances and the cost, improve the dimensional precision and surface finish as well as the mechanical properties, so as to meet the requirements of a higher level product. Mature technological process, rich experience, professional large scale production, effective cost management made us possess the strong comprehensive competitive capability better than other manufactory in this vocation, all these not only show in our high quality, the most attractive price also is our treasure book. If you come from America or Europe, please trust us, because of the lowest productive cost in China, so, purchasing casting in China is your best choice. Don't hesitate, our offer will make you a big surprise.